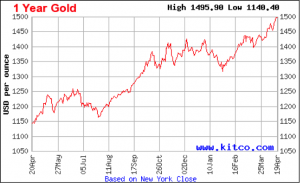 While nobody can assure us that gold prices will continue going up at this rate, most financial experts and many commodities traders believe it will. 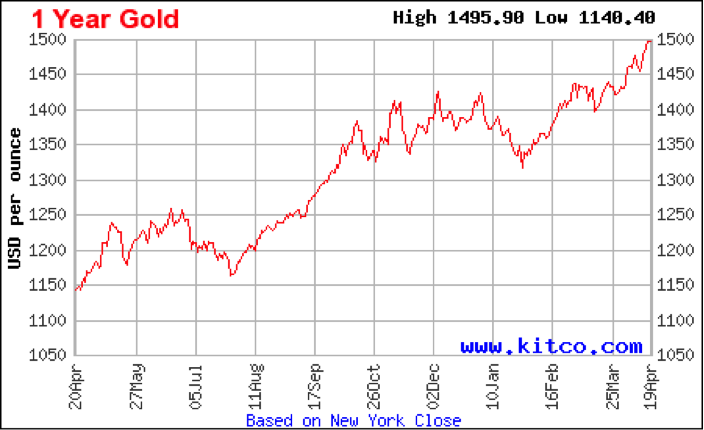 Many highly respected analysts also believe that gold may well rise to $2,000/ounce or more during 2011 and 2012. There are two reasons for this. First, new mines won’t be able to contribute new gold to the supply, since these mines generally take 5 to 7 years to reach a substantial rate of production. Second, the world’s economies are far from recovering and inflation will drive investors to seek safe haven investments such as gold and silver. If this is the case, gold, platinum and silver are likely to be safe and profitable investments during the next five to ten years thanks to their stability, intrinsic value and upward price trends.